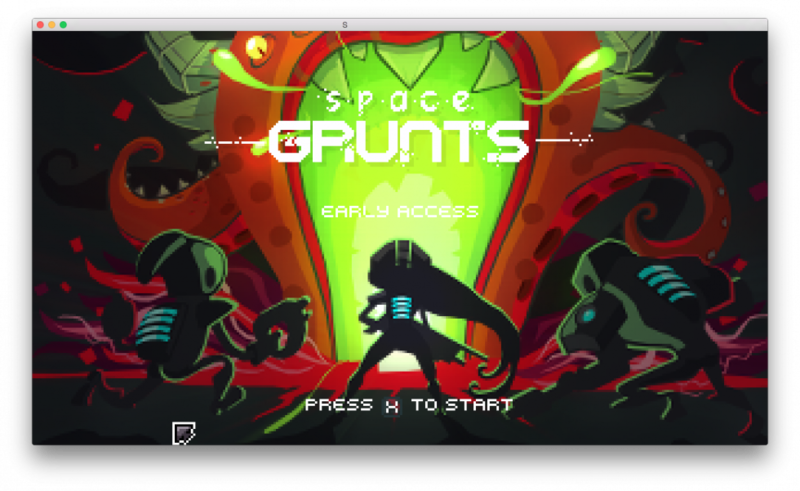 I got the opportunity to test out the early access version of Space Grunts from OrangePixel. 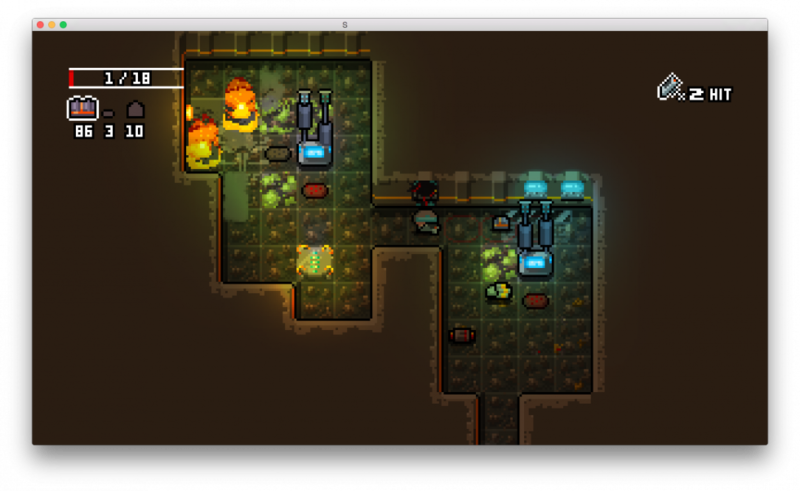 I am following the developer Pascal Bestebroer on twitter for a couple of months now and this game seems to turn out really great. 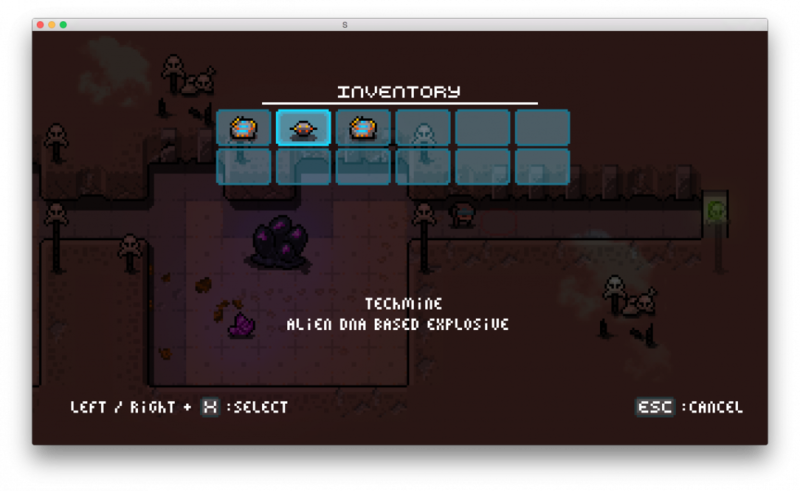 Space Grunts is designed like an action arcade game, but played as a turn-based rogue-like. Choose your hero and you get thrown into the action right away. No long story parts just to get started. I think it is better to explore parts of the story while playing instead of forcing the player to watch videos or read long text dialogues. What you are going to encounter: Health is very limited, doesn’t regenerate on its own and everything in this world is trying to kill you. This includes your weapons and your own stupidity while shooting bomb shells in close range of toxic barrels. In other words: fun incoming! 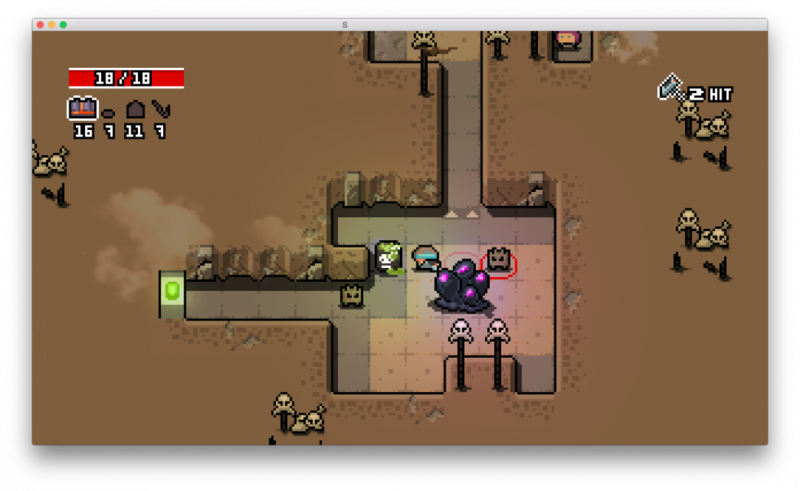 Space Grunts is available via Humble Store or Steam and for PC, Mac and Linux. iPhone/iPad and Android versions are planned for early 2016. 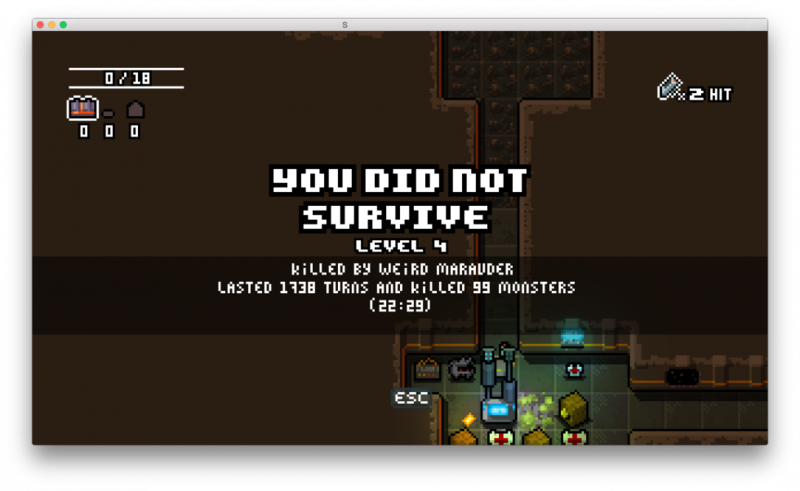 This might be one of the games, I will play again and again because every death makes you crazy about how you could have done better! 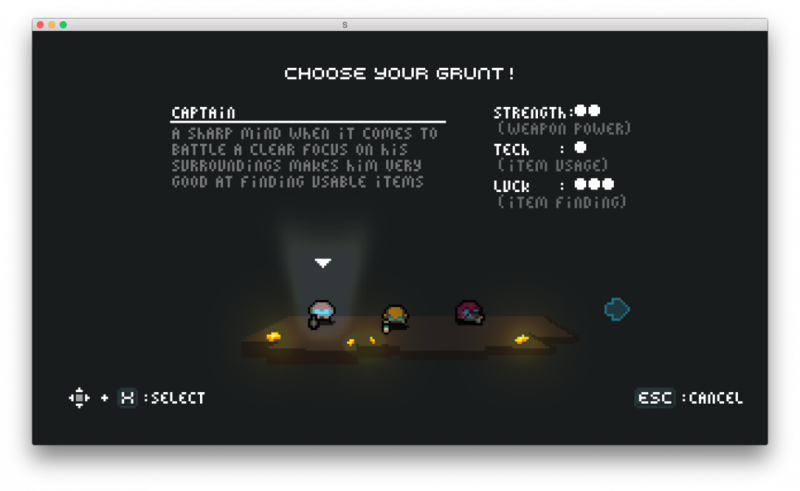 For a small indie title which just costs a couple of bucks, Space Grunts looks like it is going to deliver hours of action paced gameplay. You are your worst enemy and controlling yourself is the real challenge beside worshipping the god of random luck. Do I recommend it? 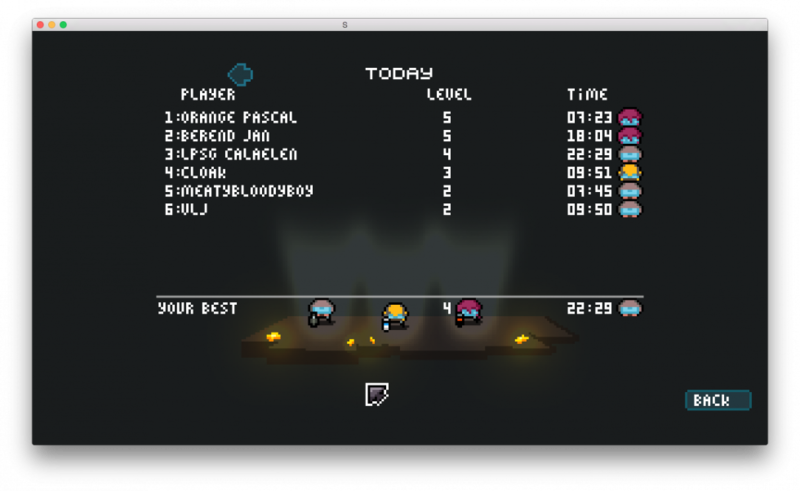 Yes, even as an early access title right now it is already a lot of fun to play!